HORNET FLIGHT - Higher Class Aviation factory pilot Roger Chase (front) and manager Matt Gregory fly the company's Sport Hornet. 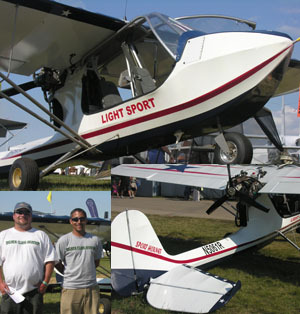 The plane received its Special Light-Sport Aircraft (SLSA) certification during AirVenture '07 in July '07. CRUISIN' - At 4,800 rpm, the Sport Hornet produced about 86 mph of cruise speed. CHALLENGING PROJECT - Company owner Robert Gaither committed resources to meeting the new industry consensus standards for Special Light-Sport aircraft - a challenging project with lots of testing and paperwork. But Gaither and his team persevered and finally won SLSA approval for their Rotax 912-powered Sport Hornet. GROUP SHOT - The smiling men from Higher Class Aviation surround Chuck Denanny sitting in his Sport Hornet. Standing in the back, from left to right: T.C. Steen, head fabricator and Roger Chase, factory pilot. Plant manager Matt Gregory is kneeling in the front while company president Robert Gaither leans against the plane. SPRINGY TAIL - In a Sport Hornet, you can deploy a spring-loaded tail stand before exiting the plane. In use, it hooks into a keyhole cut into the left rudder pedal. With the tail stand still deployed and connected to the rudder pedal, as a safety feature you can't readily taxi. BIG CHANGES - Engineers widened the cockpit 4 inches, which allowed them to move the rear rudder pedals up about 6 inches. They also added a second wing strut to control wing torsion movements resulting from the additional power of the 100-hp Rotax 912S. Dihedral was also added to make for a more stable flying aircraft. and landing lights. FULL PANEL - Chuck Denanny chose to upgrade his Sport Hornet with a panel full of instruments: A Becker 4401 transceiver, Becker 4200 transponder, Grand Rapids Technologies EFIS with GPS, Trio Avionics 2- axis autopilot, wing leveler, altitude preselect, fuel pump, fuel low warning light, ELT, electric starter, navigation lights, strobes and landing lights. ROBUST STRUCTURE - The Hornet has always featured a robust aluminum airframe covered with Stits Poly-Fiber. Dual-spar wings have also long been part of the airframe as has been the unique Hornet air spring (pneumatic) suspension on all three wheels. Working with the suspension system are custom hydraulic brakes, aluminum wheels and large tires. At the close of business on January 31, 2008, 2-seat ultralight trainers and overweight single-seater "ultralights" - as readers of this publication understand these aircraft - will cease to exist. More correctly, they must have been converted to Experimental-Light Sport Aircraft (ELSA) if their owners want to continue flying them; otherwise these pilots' options are sharply limited. But as Part 103-compliant ultralights continue and if ultralight trainers go away, how will new ultralight pilots be trained for flight in these lightest of aircraft? Happily, the subject of this month's flight review answers that question. Arguably the first fixed-wing ultralight to make the jump - not to ELSA conversion status but to full, Special-LSA (SLSA) approval - is Higher Class Aviation's Sport Hornet. Gaining Higher Class We first saw the Hornet when Jim Millett brought this new design to Sun 'n Fun '94 (the event's 20th anniversary). It was a bold move into a market looking well established. Indeed, since the Hornet resembled a Challenger - one of the best selling ultralights - was it even needed? At a price then double that of a Challenger, some observers thought it had an uncertain future. The Hornet found some following and persevered until present company owner, Robert Gaither, bought the company from Millett in '04. Gaither struggled with his company and the Hornet as ultralight growth hit a plateau and as FAA's new Light-Sport Aircraft regulation finally peeked over the horizon. But the arrival of this aviation regulation foretold a new direction for Higher Class Aviation, the name Gaither chose for his new company. As it became obvious to Gaither that LSA would be the new way aircraft like the Hornet would be built, he redirected precious resources to meeting the new industry consensus standards. This project is challenging, with lots of testing and paperwork required. But Gaither and his small team plugged away and finally, in July '07, won Special Light-Sport Aircraft approval for their 100-hp Rotax 912S-powered Hornet. They renamed the model Sport Hornet to commemorate this achievement. The task of converting a homebuilt "ultralight" to a fully factory-built SLSA wasn't easy or swift. As Gaither and his team made the Hornet ready for the lights sport aircraft market, the airplane was put through a long series of changes. Much of what Millett created remains on the Sport Hornet of today, but much has also changed to become an SLSA and because it was the right thing to do. One major change was adding the Rotax 912 to the airplane, a bigger- than-usual challenge owing to the aft engine placement and the fact that Millett had designed the Hornet around less powerful (and lighter) engines. Pilots were asking for the more powerful Rotax 912. It became apparent that more extensive changes would be necessary to support such a powerful engine. Remember, the first Hornet flew well with a 52-hp Rotax 503 engine. While the Hornet team worked to achieve their SLSA status, they knew they'd have a tail-heavy airplane when they bolted on the big 912S engine. One solution was to move the battery to the furthest forward position possible. Even that isn't always enough. While it sounds counterintuitive - adding dead weight to a "light" sport airplane - ballast is sometimes needed to counter-balance that big 912 engine. Gaither said, "The majority of our customers [weigh] 200 to 210 pounds. Ballast is needed only when being flown solo by a lightweight pilot. 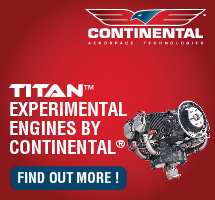 Our Aircraft Operating Instructions (AOI) covers this process in detail." Higher Class engineers widened the cockpit 4 inches to accommodate these larger customers, a considerable effort requiring many engineering hours. But this allowed them to move the rear rudder pedals up about 6 inches to allow rear-seat occupants to wear boots and still work the pedals. Older Hornets seemed a bit tight for the aft person's feet with some concern of control interference. One major structural change included adding a second wing strut to control wing torsion (twisting) movements resulting from the additional power. Another driver in this structural engineering move was to eventually permit 1,320 pounds of gross load where Millett's Hornet could carry only 1,000 pounds. When the strut changes were made, dihedral was also added to make for a much more stable flying aircraft, according to longtime Hornet enthusiast Roger Chase. The original had almost no dihedral. Despite the greater stability, Chase says they lost no performance and improved handling qualities. "I don't know why Millett and I didn't do this sooner," Chase adds. Production SLSA Sport Hornets will have a 30-foot wingspan, differing from the 28-foot span production prototype Sport Hornet that I flew. This change will allow Higher Class to move up to 1,320 pounds of gross weight from 1,260 pounds as certified in '07. The increased span allows the Sport Hornet to meet the 52-mph Vso (clean stall) required of an SLSA at the heavier weight. The greater span and commensurately lighter loading will allow the Sport Hornet to maintain its current takeoff performance and climb rates, even at the heavier weight. Though frontal area will be greater, a higher aspect ratio has designers convinced more speed will result. The 2007 Hornet model with 1,260 pounds gross weight has 630 pounds of useful load, yielding 522 pounds of payload after 18 gallons of fuel are pumped onboard. This is plenty even for two big occupants. More weight capacity seems hardly necessary until you consider adding amphibious floats. The increase will also allow for a pod underneath the plane, providing some baggage area. "We can't add anything to the tail of this airplane," says Gaither. Available cubic volume aft of the rear seat cannot be used because of weight-and-balance reasons. For this evaluation flight, Chase and I flew at about 1,210 pounds, 50 pounds less than gross given the current certification for the Hornet. Preserving the Hornet While the changes made by Gaither and his engineer Mathew Gregory are substantial, much of the "new" Hornet remains as it was a decade ago when Millett first assembled his dream plane. The Hornet has always featured a robust aluminum airframe covered with Stits Poly-Fiber. Factory folks note that the fabric tensioning associated with this type of covering does not distort their wing due to its well-braced structure. Though not always using dual wing struts, dualspar wings have long been part of the airframe as has been the unique Hornet air spring (pneumatic) suspension on all three wheels. Millett's air bag system - not unlike that used on large trucks (though obviously on a lighter scale) - is comprised of three separate bags. Highly effective at damping landing loads, even during demonstrations where the plane is stalled from 8 or 9 feet up, no damage occurs. A student may not even be aware of how hard he or she landed. Working with the suspension system are custom hydraulic brakes, aluminum wheels, and large tires. Sport Hornet seats, molded of lightweight composite, are adjustable with 6 inches of travel. Aircraft-quality 4-point shoulder harness and seat belts are standard at both seats. And, working with the BRS parachute company, Higher Class has neatly integrated a vertically launching BRS model into the center wing section. 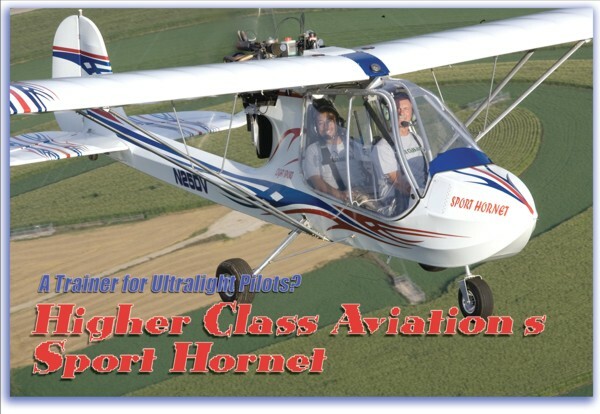 But while the original Hornet barely met the ultralight trainer definition even with few accessories, Higher Class can equip a customer's Sport Hornet with several options, among them glass instruments front and rear. They also offer a joystick with six buttons to keep your flying hand where it ought to be. The joystick is topped with a 4-direction switch, which handles pitch and rudder trim; yes, it has both. Two buttons on both sides and just forward of the coolie hat operate the flaps, not rudder trim as I mistakenly thought. The left button deploys the flaps and the right switch retracts them. In my experience, the rudder trim has less effect - as it should - than the pitch trim. When factory pilots take off in this particular airplane, they use three-quarter right rudder trim, which eliminates most need for right pedal application. Hornet shares this quality with other pusher-engine aircraft. However, use of the rudder trim may not be needed in the future due to the reshaping of the vertical stabilizer. As I discovered entering slow flight, full extension of flaps consumes 8 seconds, the linear actuator's response time. In that time you can deploy 30° or retract them. The Hornet's electrically actuated flaps appeared to reduce stall speed by 8 mph. In the SLSA Sport Hornet you can have a choice of hand brake lever or toe brakes (a feature that endears the Sport Hornet to general aviation pilots). The owner of our test airplane is a big fellow, 6 feet, 5 inches and weighing 260 pounds. To ease his cockpit entry the hand brake lever was made shorter. Normally it would be longer with even better mechanical advantage, but I found it reasonably strong regardless. The throttle was moved well aft to provide more lateral space for its large owner, but this proved awkward. Most pilots will prefer a more forward placement of the throttle. When Higher Class installs computer screen instruments, Hornets will still get a few backup analog gauges. New Hornets will also see an upward tilted panel to improve readability, which will also provide a bit more knee room. Challenger pilots and those operating many other pusher ultralights know that when they exit their planes, the aircraft wants to sit on the tail due to the engine weight. In a Hornet, you can deploy a spring-loaded tail stand before you exit. In use, it hooks into a keyhole cut into the left rudder pedal. With the tail stand still deployed and connected to the rudder pedal you can't readily taxi as a safety feature. Millett's version of the Hornet had several unusual features. One was a brake lever built into the joystick. Certainly simple, this also took some acclimatization on takeoff. If you pulled back too far or too fast, you applied the brakes, bringing the nosewheel back down onto the ground and slowing you just when you were trying to accelerate. A more conventional brake lever with a parking brake lock on it is now standard, and, of course, you can elect to have toe brakes. Flight of the Hornet Longtime Hornet associate Roger Chase advised me that 75 mph is an optimal climb rate on takeoff. While most Hornets have them, Gaither says the lack of a trim indicator on the test aircraft led me to take off with the stick requiring a fair amount of backpressure as I attempted to rotate. Since the trim changes with downward movement of the horizontal stabilizer, I couldn't judge its position before takeoff. Fortunately, trim is very effective but you do need to use it. Chase further advised that best angle of climb is done at 69 mph, best rate at 75 mph, and en route climb is done at 86 mph. As is my practice, I performed a series of Dutch roll coordination maneuvers. Doing so, I found the controls a bit on the stiff side. Coordination between axes was generally acceptable, though I found I needed a bit more aileron than rudder input to make coordinated Dutch rolls. Once familiar with the Sport Hornet's controls, I measured roll rate in 45-to-45 reversals at 3 to 3.5 seconds. Steep turns executed at 5,200 rpm required considerable use of the pitch trim but once properly deployed, the Sport Hornet carved excellent circles even at 60° of bank. With other maneuvers, this confirms the Hornet's stable flying manners. Deploying full flaps, slow flight was easily achieved at about 52 mph. Control response was slower, of course, but still sufficiently authoritative. At maximum slow flight, I ran out of nose-up trim, but pitch pressures with full trim were light enough to easily control the Hornet. Remember, this particular airplane was set up for a pilot who weighs 100 pounds more than I. At 4,800 rpm, which Chase called "about 60% power," the Sport Hornet produced about 86 mph of cruise speed. On a high-speed run at maximum continuous power (5,500 rpm), I noted 116 mph going west and 97 mph when going east on the GPS, for an average ground speed of 106 mph. While not the GPS triangle one might use for calibrating true airspeed, it does give a good indication of performance. Higher Class is still evaluating props for the 100-hp Rotax 912S. They've had more experience with the 80-horse Rotax 912, which might be a more optimal choice, but customers want the higher power. Limited by the lower boom, the Hornet can use no more than a 58-inch prop. With an 18-gallon fuel supply as standard, the Sport Hornet can fly for up to 6 hours and travel 500 nautical miles without refueling. 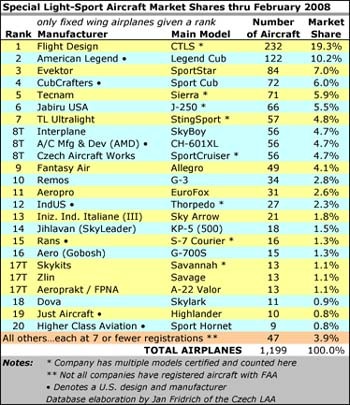 Updated Ultralight To win SLSA airworthiness for the Sport Hornet, Higher Class took the design farther than had Millett. For this achievement, Gaither credits young aerospace engineer Mathew Gregory aided by former SkyStar president Ed Downs along with experienced Hornet pilot, Roger Chase. The changes they made are both substantial and minor. For example, older Hornets had no airfoil shape to the vertical tail surface. Now the vertical stabilizer is shaped with a deeper curve on the left side to compensate for P-factor. Higher Class also added electric rudder trim, which is controlled via a joystick button set. In a power-on departure stall with the joystick full aft in the stall, I observed 46 mph on the Grand Rapids Technologies Engine Information System engine monitoring system. In several trials no stall break resulted. Accelerated stalls did not break either, though when done to the right the Hornet rolled to level. In all powered stalls, while climb decreased, it did not disappear completely. The Sport Hornet's pitch felt heavy enough in control that I relied on the very effective trim. Roll pressures required less effort. The 3-inch shortened stick to provide more room for the large owner of this aircraft colored some of my experiences with this particular Hornet. The standard longer stick with more mechanical advantage would be an improvement. When I made power changes, adding power produced a slow climb as expected. Reducing power from 5,200 to 3,000 rpm first caused a nose- up when the high thrust line was eliminated, but then the nose lowered gently in a correct response. Checking lateral stability to the left where P-factor aids coordination, the Sport Hornet held steady at 20° and 30° of bank; it did not tighten up in the turn. When I repeated the lateral stability check to the right, the turn tightened up gently. Pitch trim is actuated at the trailing edge of the horizontal stabilizer. The baseline position is set at the factory. Since it had been repositioned for a very heavy owner, it could be adjusted for a lighter pilot such as myself, which would regain full correct trim response. 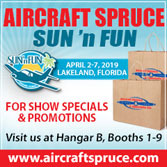 Catching Your Hornet Many industry leaders have been hearing from many pilots that fully built SLSA are priced out of their budgets. Despite the availability of consumer financing - with 20% down, reasonable interest rates, and long amortization periods - or even given the availability of partner ownership programs and agreements, some potential buyers are not buying because the full cost just seems out of reach. Into this dilemma flies Higher Class Aviation. At $49,995, the Sport Hornet is the lowest cost, fully built, fixed-wing SLSA available. Even if you want various options, a fully loaded Sport Hornet seems unlikely to exceed $60,000. Given the availability of financing over 20 years, this appears to put a well-equipped Sport Hornet within reach of the majority of pilots (approximately $12,000 down and $375 per month for 20 years, on approved credit). For the Sport Hornet's $49,995 price, buyers now get the 100-hp Rotax 912D (formerly you got the 80-hp version for this price), and the SLSA is equipped for day VFR flight. Standard instruments include an airspeed indicator, sensitive altimeter, vertical speed indicator, Grand Rapids EIS system; plus a 5-position ignition switch (off, left mag, right mag, both, start), master switch, flap switch, and trim switch. To bid the price up beyond $50,000 you can choose an optional BRS ballistic parachute system, Kuntzleman Electronics light kit, Grand Rapids Technologies Sport Pak EFIS, Becker radio/transponder, and PSI Engineering intercom. But for ultralight pilots or, more to the point, for ultralight Sport Pilot instructors, Higher Class has recently announced a Rotax 582-powered Hornet for only $40,000. If they can maintain this price, some of those woes about no ultralight trainers may disappear. Equipped for fun or equipped for serious cross-country flying, the Sport Hornet makes an economical purchase compared to any other Special- Light Sport Aircraft. And the 582 model is a positive bargain. Many ultralighters have been lamenting the lack of airplanes in which to train pilots who want to fly genuine Part 103-compliant ultralight vehicles. The Sport Hornet can now fill that need. And at only $40,000 in SLSA ready-to-fly form, it's also a bargain. Maybe you deserve a Higher Class of aviation? Notes: 1 Higher Class plans to increase gross to 1,320 pounds in the near future. 2 Space available, but weight & balance allows no baggage unless flown solo; a cargo pod under the cockpit is being planned. Notes: Basic panel instruments, 100-hp Rotax 912S with electric starting, removable doors (cannot be opened in flight), hydraulic brakes, electric flaps and pitch trim, dual controls, 4-point seat belts, entry doors on both sides. Standard Features Basic panel instruments, 100-hp Rotax 912S with electric starting, removable doors (cannot be opened in flight), hydraulic brakes, electric flaps and pitch trim, dual controls, 4-point seat belts, entry doors on both sides. Options Aluminum tube-and-gusset airframe, all-aluminum wing covered with painted dope and fabric. Made in USA; distributed by U.S.-based manufacturer. Pros - Innovative design with a robust construction. Wing construction based on dual spars and struts. 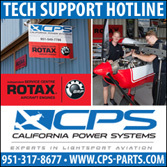 Rotax engines provide predictable operation. 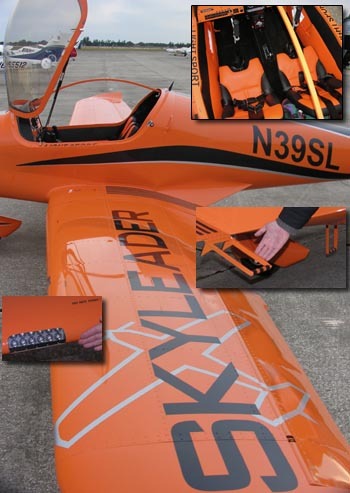 Company is one of the "ultralight" fixed-wing designs to win SLSA approval and a Rotax 582 model will further lower the price and interest ultralight instructors. Cons - No matter how you look at it, the Hornet does not resemble most of the new flock of SLSA designs; still looks like an "ultralight" (even if that label is unfairly applied). Tail stand adds weight (though makes entry easier). Pros - Electric trim and flaps are standard and bring smooth, easy control. Electric trim was quite effective at offsetting stick pressures. Electric start is standard with Rotax 912S. Tail stand is easily cabin retractable. Hydraulic brakes were effective; toe brakes available. Easy engine access. Cons - Control buttons on the joystick were not fully intuitive. Also, I found use of the trim was necessary in this airplane. I was unable to determine trim position with visual inspection in the test Sport Hornet. Panel room is somewhat shy if you want all the latest digital equipment plus radios. Pros - Entry and exit are simple to both seats (not common with all tandems), especially with the tail stand holding the Hornet level. Four-point seatbelts were appreciated. Broad pilots will like the roominess afforded by tandem seating. Most controls within an easy reach. Lots of payload available. Cons - The throttle on this test Sport Hornet, built for its large owner, was hard to reach and less finely adjusted. No baggage/cargo area (except the rear seat when flying solo; underside pod coming soon). As with most tandems, the aft seat has limited forward visibility. Cons - Brakes were strong but hand brakes don't please everyone (toe brakes are available for those pilots). Nosewheel steering effectiveness was diminished because the Hornet sits lightly on the nose. Nondifferential braking lessens taxi maneuverability (toe brakes will fix this at optional cost). Pros - Ground roll on takeoff was reasonably short (400 feet). Takeoff and landing visibility are excellent from the front seat. Approach speeds can be held low, 40 mph with practice. Out-landings are less threatening, thanks to good clearance and the excellent suspension system. Flaps were very useful, pitching the nose down to improve visibility on final. Cons - Crosswind landings done at the slowest speeds may run out of stick range. Slips weren't as effective as some other ultralights or LSA. Takeoff roll may seem long to ultralight pilots (but recall the high gross weight of this upgraded original). Pros - Few pilots will call Hornet controls fast; controls were reasonably light and pleasant. Coordination was also satisfactory. Precision turns to headings were accurate from the start and the Hornet holds a mild bank turn easily. Adverse yaw was somewhat better than average. Cons - Roll rate may not be fast enough for some pilots, though many ultralight pilots will find the Hornet perfect. Stick range was limited in some crosswind landings when wide deflection was needed. Rudder deflection was less effective than expected after a reshaping of the vertical stabilizer was complete. Pros - Among ultralights, the Hornet is pretty fast (though not so much compared to many SLSA). Hornet also flies well at low power settings. Engine and prop appear well selected. Sink rate was good at less than 500 fpm. Slow flight possible at 4,500 rpm, a fairly low number for an aircraft of this size. Cons - For a distant cross-country flight, even the Rotax 912S-powered Sport Hornet may not be fast enough (cruises around 105 mph). Takeoff distance of 400 feet might seem long to ultralight pilots (though not to any general aviation pilot). Fuel consumption of the Rotax 582-powered model may not be as good as with the larger Rotax 912. Pros - Power-off stalls broke mildly in the mid- to high-30-mph range. Power-on stall never broke, instead just bucking around in an obvious protest that should guide your response. Longitudinal stability tests were good in spite of a nose light trim condition (due to the test Hornet being set up for a large owner). Cons - Throttle response checks came out fairly neutral (though this is a good performance compared to other high thrust line pusher designs). Carved consistent turns even at 60° bank angles. Adverse yaw was about as expected. Earlier negatives about this design have been fully resolved. Pros - Feature-filled design illustrating lots of innovation and creative problem solving. Reasonably efficient aircraft. Performs well at low power settings. Stout construction will set most pilots at ease, even general aviation pilots used to heavier iron. Approval as an SLSA, at $49,995 is a welcome development (and a lower-cost Rotax 582-powered model may be even more alluring to ultralighters). Cons - Small company with less capacity to support customers than some larger SLSA companies. Delivery times may vary due to small (but dedicated) staff. Though design has met ASTM standards, some nonultralight pilots may write off the Hornet as a too-simple airplane, possibly affecting resale. 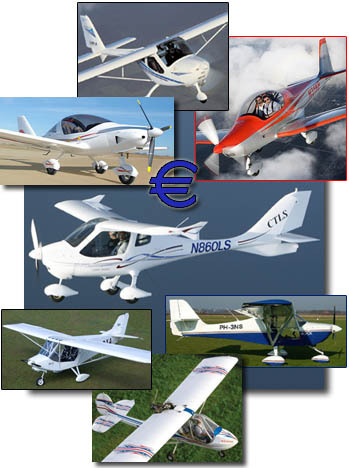 At the close of business on January 31, 2008, 2-seat ultralight trainers and overweight single-seater “ultralights” – as readers of this publication understand these aircraft – will cease to exist. More correctly, they must have been converted to Experimental-Light Sport Aircraft (ELSA) if their owners want to continue flying them; otherwise these pilots’ options are sharply limited. But as Part 103-compliant ultralights continue and if ultralight trainers go away, how will new ultralight pilots be trained for flight in these lightest of aircraft? Happily, the subject of this month’s flight review answers that question. Arguably the first fixed-wing ultralight to make the jump – not to ELSA conversion status but to full, Special-LSA (SLSA) approval – is Higher Class Aviation’s Sport Hornet. Gaining Higher Class We first saw the Hornet when Jim Millett brought this new design to Sun ‘n Fun ’94 (the event’s 20th anniversary). It was a bold move into a market looking well established. The Sport Hornet's instrument panel has "grown up" to support the instrumentation sport pilots may want. The brainchild of Jim Millett, rubber dampeners ease the load on the Hornet's landing gear, all cleverly hidden under the seat. 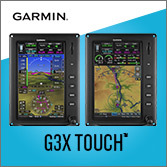 To aid flight training, Higher Class has added a mount for an electronic engine information system and/or electronic flight information system, so both pilots are fully informed. Shown here is a Stratomaster Enigma unit installed in this owner's aircraft. For S-LSA approval, LSA must have a fuel shut off switch. Higher Class Aviation mounts it above the front seat, accessible to both pilot and passenger. Is It the First Ultralight SLSA? Among fixed-wing airplanes, the Sport Hornet from Higher Class Aviation may be the first ultralight-type airplane to achieve special light-sport aircraft (S-LSA) status. Several weight-shift trikes and a few powered parachutes also have made the jump, making declarations of meeting the ASTM industry consensus standards. As company owner Robert Gaither and his team made the Hornet ready for the LSA market, the airplane was put through a series of changes resulting in the name Sport Hornet. From Hornet to Super Hornet to Sport Hornet Jim Millett, of U.S. Light Aircraft, designed the original Hornet thinking he could improve upon the Quad City Ultralight's Challenger. His was a ground-up different design that had only the look of a Challenger. Much of what Jim created remains on the Sport Hornet of today, but much has also changed, sometimes to meet S-LSA requirements and sometimes because it was the right thing to do. After Robert bought the company he made minor changes to the airplane, but none to Jim's impressive airframe design. With pilots asking for more power, Higher Class added the Rotax 912 to the airplane, a bigger than usual challenge owing to the aft engine placement. As LSA regulations loomed large on the planning horizon of all ultralight companies, Robert chose to embrace the opportunity. Part of that was moving to the even-more powerful Rotax 912S. At that point it was apparent more extensive changes would be necessary to support such a powerful engine. Remember, the first Hornet flew well with a Rotax 503 with 52 hp. As Hornet team members worked to achieve S-LSA status, they knew they'd have a tail-heavy airplane when they bolted on the big 912S engine. One solution was to move the battery to the farthest forward position possible. While adding dead weight to a "light" sport airplane sounds counterintuitive, the model is aerodynamically sound without ballast, assuming a large occupant up front or with both seats filled. Robert said, "The majority of our customers are coming in at 200 to 210 pounds. Ballasting procedures are used only when the airplane's flown solo by a lightweight pilot. Our aircraft operating instructions cover this process in detail." In what seems a small change yet took many engineering hours, Higher Class engineers widened the cockpit 4 inches to accommodate its larger customers. This allowed them to move the rear rudder pedals up about 6 inches to allow the rear seat occupants to wear boots and still work the pedals. Older Hornets seemed a bit tight for the aft person's feet with some concern of control interference. Now, the pedals are more accessible. In a fairly major structural change, a second wing strut was added to control wing torsion (twisting) movements resulting from the additional power-a requirement to meet S-LSA standards. Another driver in this engineering move was to eventually permit 1,320 pounds of gross load where early Hornets carried only 1,000 pounds. When the strut changes were made, dihedral was added to the wing to make for a much more stable flying aircraft, according to longtime Hornet enthusiast Roger Chase. The original wing had almost no dihedral. Despite the greater stability, Roger says the airplane lost no performance, and handling qualities were improved. "I don't know why Jim and I didn't do this sooner," he added. Production S-LSA Sport Hornets will have a 30-foot wingspan, differing from the 28-foot span on the production prototype Sport Hornet I flew. This change will allow Higher Class to move up to 1,320 pounds of gross weight from the 1,260 pounds it's presently certificated at. The increased span allows the Sport Hornet to meet the 45-knot VSO (clean stall) speed required of an S-LSA at the heavier weight. The greater span and commensurately lighter loading will allow the Sport Hornet to maintain its current takeoff performance and climb rates, even at the heavier weight. Though the frontal area will be greater, a higher aspect ratio has designers convinced more speed will result. At present, the 1,260-pound gross Hornet has 630 pounds of useful load yielding 522 pounds of payload, enough for two big occupants. More weight capacity seems hardly necessary, until you consider adding amphibious floats. The increase also allows for a pod underneath the plane for some baggage area. "We can't add anything to the tail of this airplane," said Robert. Available cubic volume aft of the rear seat cannot be used for weight and balance reasons. While the preceding changes are substantial, much of the Sport Hornet in 2007 remains as it was a decade ago when Millett first assembled his dream plane. The Hornet has always featured a robust aluminum airframe covered with Poly-Fiber. Factory folks note that the fabric tensioning associated with this type of covering does not distort their wing because of its well-braced structure. Dual-spar wings have long been part of the airframe as has been the unique Hornet air spring (pneumatic) suspension on all wheels. Millett's air bag system-not unlike that used on large trucks (though obviously on a lighter scale)-is composed of three separate bags. They're highly effective at dampening landing loads; even during demonstrations where the plane is stalled from 8 or 9 feet up, no damage occurs. A student may not even be aware of how hard he or she landed. Custom hydraulic brakes, aluminum wheels, and large tires work with the suspension system. The Hornet's seats, molded of lightweight composite, are adjustable with 6 inches of travel. Aircraft quality four-point shoulder harnesses and seat belts are standard at both seats. Working with BRS Parachutes, Higher Class has neatly integrated a vertically launching model into the center wing section. Buzzing Around For this evaluation flight, Roger and I flew at about 1,210 pounds, 50 pounds less than gross given the current Hornet. Higher Class can equip a customer's Sport Hornet with several options, among them glass instruments front and rear. It also offers a joystick with six buttons to keep your flying hand where it ought to be. Nonetheless, I got a bit mixed up with the buttons on the joystick. A "coolie hat," or four-direction switch, handles pitch and rudder trim. Two buttons on both sides and just forward of the coolie hat operate the flaps, not rudder trim as I mistakenly thought. The left button deploys the flaps, and the right switch retracts them. In my experience, the rudder trim has less effect-as it should-than the pitch trim. When factory pilots take off in this particular airplane, they use three-quarter right rudder trim, which eliminates the need for much pedal use. The Hornet shares this quality with other pusher-engine aircraft. However, use of the rudder trim will not be needed in the future because of the reshaping of the vertical stabilizer. As I discovered entering slow flight, full extension of flaps consumes eight seconds, the linear actuator's response time. In that time you can deploy 30 degrees or retract them. The Hornet's electrically actuated flaps appeared to reduce stall speed by 8 mph. In the S-LSA Sport Hornet you have a choice of a Johnson bar hand lever or toe brakes, in a nod to general aviation (GA) pilots accustomed to this auxiliary steering method. The owner of the plane I flew, N25DV, is David Valcik from Chester Springs Pennsylvania. He's 6 foot 5 and weighs 260 pounds. To ease his entry the hand brake lever is shorter. Normally it would be longer with better mechanical advantage, but it was reasonably strong regardless. The throttle on our test Hornet was also well aft to provide more lateral space for Valcik. That proved awkward, as I'd been warned. Most pilots will prefer the standard S-LSA version of the throttle installation. When Higher Class installs computer screen instruments, Sport Hornets will still get a few backup analog gauges. New Sport Hornets will also see an upward tilted panel to improve readability, which will also provide a bit more knee room. Challenger pilots, and those operating many other pusher ultralights, know that when they exit, the aircraft wants to sit on its tail because of engine weight. In Sport Hornets, you deploy a spring-loaded tail stand before you exit. In use, it hooks into a keyhole cut into the left rudder pedal. With it still deployed you can't readily taxi as a safety feature. Millett's version of the Hornet had several unusual features. One was a brake lever built into the joystick. Certainly simple, this also took some acclimation on takeoff. If you pulled back too far or too fast, you applied the brakes, bringing the nose wheel back down onto the ground and slowing you just when you were trying to accelerate. A more conventional brake lever with a parking brake lock on it is now standard, and as mentioned, toe brakes are offered. Getting On Up Roger Chase, my checkout pilot, has been associated with the Hornet since the mid-1990s, and he advised that 65 knots is an optimal climb rate on takeoff. The lack of a trim indicator on the test aircraft led me to take off with the stick requiring a fair amount of back pressure to rotate. Since the trim changes with downward movement of the horizontal stabilizer, I couldn't judge its position before takeoff. Fortunately, trim is very effective, but you do need to use it. Roger further advised the best angle of climb is done at 60 knots, best rate at 65 knots, and en route climb is done at 75 knots. In my regular familiarization through Dutch roll coordination exercises, I found the controls a bit on the stiff side. Coordination between axes was generally acceptable, though I found you needed a bit more aileron than rudder input to make coordinated Dutch rolls. Once familiar with the Sport Hornet's controls, I measured roll rate in 45-to-45 reversals at 3 to 3.5 seconds. Steep turns executed at 5200 rpm required considerable use of the pitch trim, but once properly deployed, the Sport Hornet carved excellent circles even at 60 degrees of bank. With other maneuvers, this confirms the airplane's stable flying manners. Deploying full flaps, slow flight was easily achieved at about 45 knots. Control response was slower, of course, but still sufficiently authoritative. At maximum slow flight, I ran out of nose-up trim, but pitch pressures with full trim were light enough to easily control the Sport Hornet. Remember, this particular airplane was set up for a pilot 100 pounds heavier than me. At 4800 rpm, which Roger called "about 60 percent power," the Sport Hornet produced about 75 knots of cruise speed. On a high-speed run at maximum continuous power (5500 rpm), I noted 101 knots going west and 84 knots going east on the GPS, for an average ground speed of 92.5 knots. While not the GPS triangle one would use for calibrating true airspeed, it does give a good indication of performance. The engine ran smoothly throughout all power settings. Higher Class is still tweaking prop combinations for the 100-hp Rotax 912S. It has had more experience with the 80-horse 912, which might be a more optimal choice, but customers want the higher power. Limited by the lower tail boom, the Sport Hornet can use only a 58-inch prop maximum. With an 18-gallon fuel supply standard, the Sport Hornet can fly for up to six hours and travel 500 nautical miles without refueling. Improved Stability Many ultralights exhibit unorthodox handling qualities. That doesn't make those machines difficult to fly, but you have to learn how they respond. In creating the Sport Hornet for S-LSA approval, Higher Class has taken the design further. Robert credits aerospace engineer Matthew Gregory and Ed Downs, who helped with S-LSA certification, along with experienced Roger Chase for these developmental changes. For example, older Hornets had no airfoil shape to the vertical tail surface. Now the vertical stabilizer is shaped with a deeper curve on the left side to compensate for P-factor. Higher Class also added electric rudder trim, which is controlled via a joystick button. In a power-on departure stall with the joystick full aft in the stall, I observed 40 knots on the Grand Rapids engine information system (EIS). In several trials no stall break resulted. Accelerated stalls did not break either, though when done to the right the Sport Hornet rolled to level. While climb decreased in all powered stalls, it did not disappear completely. Pitch felt heavy enough in control that I relied on the effective trim. Roll pressures were much better. The shortened stick (to provide more room for the large owner of this aircraft) colored some of my experiences with this particular Sport Hornet. The standard longer stick with more mechanical advantage would be an improvement. In power changes, adding power modestly produced a slow climb as expected. Reducing power from 5200 to 3000 rpm (not much above idle thrust in the 912) first caused a noseup when the high thrust line was eliminated, but then the nose lowered gently in a correct response. Checking lateral stability to the left, where P-factor aids coordination, the Sport Hornet held steady at 20 and 30 degrees of bank; it did not tighten up in the turn. Perhaps because my inexperience with the design caused me to use too-little right rudder, when I repeated the lateral stability check to the right, the turn tightened up gently. Pitch trim is actuated at the trailing edge of the horizontal stabilizer. The base line position is set at the factory, and this airplane had been adjusted for a heavy owner. It could be tweaked for a lighter pilot such as me, which would regain full trim response. Could a Sport Hornet Be for You? 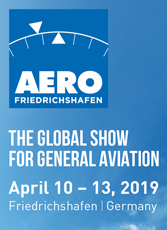 LSA industry leaders have been hearing from numerous pilots that many S-LSA are priced out of their budget. At $49,995, the Sport Hornet speaks to this concern. 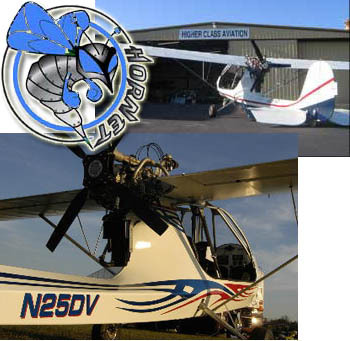 Other than a couple of trikes and powered parachutes, the Sport Hornet is one of the lowest cost airplanes for the value in the business. And while you may wish to add options, even a fully loaded Sport Hornet seems unlikely to exceed $60,000. Given the availability of financing for more than 20 years, this airplane would seem within reach of the majority of pilots. The sub-$50K price now includes the 100-hp Rotax 912 (formerly you got the 80-hp version for this price) and is fully equipped for day, visual flight rules conditions. Standard instruments include an airspeed indicator, sensitive altimeter, vertical speed indicator, and a Grand Rapids EIS system, plus a fiveposition ignition switch (off, left mag, right mag, both, start), master switch, flap switch, and trim switch. 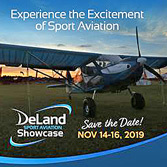 To bid the price beyond $50,000 you can choose an optional BRS ballistic parachute system, Kuntzleman light kit, Grand Rapids Sport electronic flight instrument system, Becker radio/transponder, and PS Engineering intercom. Equipped for fun or serious crosscountry flying, the Sport Hornet is an economical purchase compared to many other S-LSA. 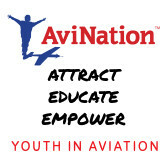 Maybe you deserve a Higher Class of aviation? Is It the First Ultralight SLSA? Among fixed-wing airplanes, the Sport Hornet from Higher Class Aviation may be the first ultralight-type airplane to achieve special light-sport aircraft (S-LSA) status. Several weight-shift trikes and a few powered parachutes also have made the jump, making declarations of meeting the ASTM industry consensus standards. 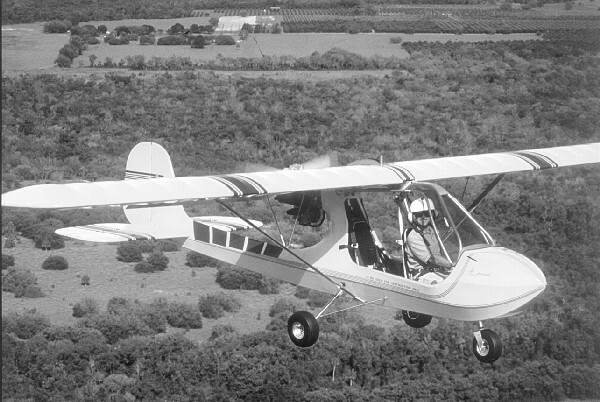 As company owner Robert Gaither and his team made the Hornet ready for the LSA market, the airplane was put through a series of changes resulting in the name Sport Hornet. From Hornet to Super Hornet to Sport Hornet Jim Millett, of U.S. Light Aircraft, designed the original Hornet thinking he could improve upon the Quad City Ultralight’s Challenger. His was a ground-up different design that had only the look of a Challenger. Much of what Jim created remains on the Sport Hornet of today, but much has also changed, sometimes to meet S-LSA requirements and sometimes because it was the right thing to do. Skies don't look so blue and beautiful while fires ravage the landscape near San Diego. Ramona Airport-based Higher Class, builder of the Sport Hornet, has been spared damage but other airports appear less fortunate. Reporting from right in the middle of the firestorm, Higher Class Aviation owner Robert Gaither called to say, "We're OK!" His Ramona Airport operation building the Sport Hornet benefits from being on station with fire fighting aircaft. More-than-willing pilots of those aircraft have been grounded by high winds. Meanwhile, ground-based firemen know they need to preserve those aircraft so they're sheltering the airport. "The only way this fire will be stopped is by the ocean or by fire fighting aircraft," said Robert. *** He heard from numerous friends that Nichol's Field, near Otay and the Mexican border is severely threatened. One pilot fears they may lose the entire airport and its fleet of some 50 ultralights. "It's like a war zone out here," Robert reported by cell phone. But he also observed the flying community is banding together. "My customers have called me to ask if we are alright and to offer their support. One Hornet owner offered his hangar to save my airplanes." Some 1,000 homes have been lost and more than 200,000 acres have burned. Reporting from right in the middle of the firestorm, Higher Class Aviation owner Robert Gaither called to say, “We’re OK!” His Ramona Airport operation building the Sport Hornet benefits from being on station with fire fighting aircaft. More-than-willing pilots of those aircraft have been grounded by high winds. Meanwhile, ground-based firemen know they need to preserve those aircraft so they’re sheltering the airport. “The only way this fire will be stopped is by the ocean or by fire fighting aircraft,” said Robert. *** He heard from numerous friends that Nichol’s Field, near Otay and the Mexican border is severely threatened. One pilot fears they may lose the entire airport and its fleet of some 50 ultralights. “It’s like a war zone out here,” Robert reported by cell phone. But he also observed the flying community is banding together. “My customers have called me to ask if we are alright and to offer their support. I flew the Sport Hornet at Oshkosh 2007 (watch for the upcoming report in EAA's Sport Pilot). It's been reevaluated and numerous changes made (design details), among them the potent R-912S. Robert Gaither (left) is the head of Higher Class Aviation, but he's proud to have staff members like aerospace engineer, Matthew Gregory. Sport Hornet is the second fixed wing "ultralight" to make the jump to Special Light-Sport Aircraft certification. * Some consider Hornet a "true ultralight" as it uses an aluminum tubing airframe. Builder Higher Class Aviation made numerous changes: The upside-down two-stroke Rotax 582 gave way to right-side-up four-stroke Rotax 9-series engines. Gross weight was increased. New dual struts brace dual wing spars. The cockpit is four inches wider and rear rudder pedals have more room. Conventional toe brakes are available. *** All these things are great but the best news may be base price for a reasonably well-equipped Sport Hornet with the 80-hp 912: $49,995. [UPDATE: 8/29/07 -- HCA now gives buyers the 100-hp 912S for the same price!] And one more important thing: since Sport Hornet still flies like most ultralights it can continue to train pilots to fly other ultralight-type aircraft. After the final deadline of January 31, 2010, you'll still be able to conduct training for hire in a Sport Hornet. *Just Aircraft's welded steel Highlander was first, in March of 2006. Sport Hornet is the second fixed wing “ultralight” to make the jump to Special Light-Sport Aircraft certification. * Some consider Hornet a “true ultralight” as it uses an aluminum tubing airframe. Builder Higher Class Aviation made numerous changes: The upside-down two-stroke Rotax 582 gave way to right-side-up four-stroke Rotax 9-series engines. Gross weight was increased. New dual struts brace dual wing spars. The cockpit is four inches wider and rear rudder pedals have more room. Conventional toe brakes are available. *** All these things are great but the best news may be base price for a reasonably well-equipped Sport Hornet with the 80-hp 912: $49,995. [UPDATE: 8/29/07 — HCA now gives buyers the 100-hp 912S for the same price!] And one more important thing: since Sport Hornet still flies like most ultralights it can continue to train pilots to fly other ultralight-type aircraft. After the final deadline of January 31, 2010, you’ll still be able to conduct training for hire in a Sport Hornet. Super Hornet uses the 100-hp Rotax 912 and shows its ultralight ancestry by stalling at a modest 34 knots with optimal flaps. Empty weight is low at 630 pounds thanks to using an all aluminum airframe. More info? Call 760-518-0838 or send email. Some observers think it looks like a Challenger (ultralight). But it's made very differently and now it has another distinction. Producer Higher Class Aviation won their SLSA airworthiness certificate on July 18, one of the first of the so-called "ultralight class" to do so. Welcome to No. 54 in the SLSA sweepstakes and congratulations to boss Robert Gaither. *** The Super Hornet has a unique construction -- "composed of many 1.25-inch diameter formed aluminum tubes and hundreds of computer-generated gussets, each designed to distribute loads evenly throughout the airframe" -- that shows the significant airframe differences from a Challenger (photo). Despite the robust structure, Super Hornet is more modestly priced than most SLSA, starting at around $50,000. Of course, you can bid that up with avionics (photo inset), but you'll still spend a great deal less than imported choices. Hornet cruises at 95 knots (109 mph), carries 18 gallons of fuel, takes off in 300 feet, and has a 690 pound useful load. Some observers think it looks like a Challenger (ultralight). But it’s made very differently and now it has another distinction. 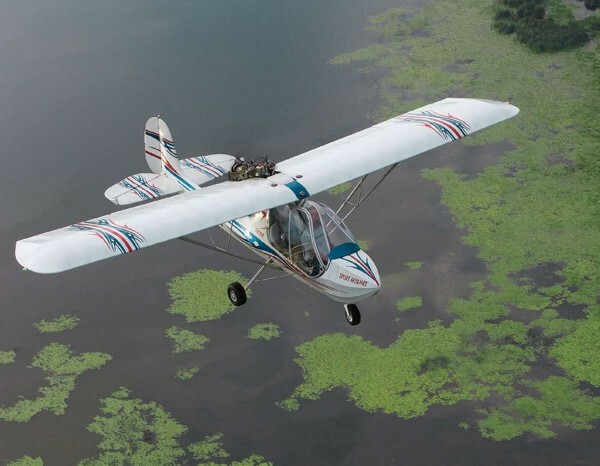 Producer Higher Class Aviation won their SLSA airworthiness certificate on July 18, one of the first of the so-called “ultralight class” to do so. Welcome to No. 54 in the SLSA sweepstakes and congratulations to boss Robert Gaither. *** The Super Hornet has a unique construction — “composed of many 1.25-inch diameter formed aluminum tubes and hundreds of computer-generated gussets, each designed to distribute loads evenly throughout the airframe” — that shows the significant airframe differences from a Challenger (photo). Despite the robust structure, Super Hornet is more modestly priced than most SLSA, starting at around $50,000. Of course, you can bid that up with avionics (photo inset), but you’ll still spend a great deal less than imported choices. Hornet cruises at 95 knots (109 mph), carries 18 gallons of fuel, takes off in 300 feet, and has a 690 pound useful load. GULL WING - When fitted with the gracefully curved side doors, the Hornet resembles an Italian sports car. In Florida's heat, the doors weren't needed. MAIN MAN - Jim Millett designed and manufactures the Hornet. His personal expression is seen in the many unique features the Hornet possesses. HEAD ON - Looking distinctly like a Challenger from this perspective, in fact the Hornet is quite original in many ways. Note the single struts. SECURE SEATS - Both fore and aft seats in the Hornet offer 4-point shoulder restraints, a feature that probably ought to be standard on all ultralight designs. IMPORTANT PLACARD - This placard reads "Maximum Speed 140 mph," an inscription that led to a riveting experience. See the main article and sidebar for details. REAR VIEW - From the rear seat, the Hornet offers pretty fair visibility for a tandem configuration. Full controls are also standard in the aft position. BIG TANDEM - You'll have a lot of room inside your Hornet, and with tandem seating in an open cockpit like this, the width of the occupants is hardly an issue. WELL-PROTECTED - The full windscreen of the Hornet works especially well, at least for the front pilot, keeping all breeze off your face. FULL CONTROLS - The Hornet's control layout is convenient and innovative. The brake lever operates by pulling aft on the joystick. Also note the left rudder pedal by the front seat and the cable held in it; this operates the tailstand. AIR BAGS? - Here you see the twin Goodyear shock absorbers that do such a commendable job on this aircraft. Even hard landings don't feel too bad thanks to this installation. Let's cut right to the chase. Flying the Hornet for the second time in a couple of years (the second flight was in April '96), I experienced a most disconcerting quality: flutter. While I have many good things to say about the Hornet, this one experience elbows its way to the front of the line. Easing into the "Pilot's Report" on the Hornet simply isn't possible when such an experience dominates my thinking. 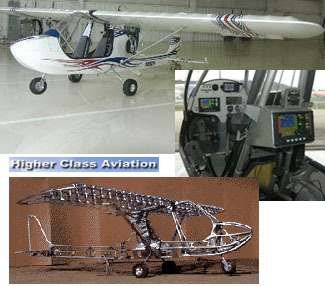 Standard Features Electric start, steerable nosewheel, pneumatic suspension on all wheels, hydraulic brakes, aluminum wheels, large tires, electric flaps, electric horizontal stabilizer trim, dual aileron control circuits, dual elevator control circuits, adjustable seats, disassembles for trailering; wings, fuselage and empennage factory-assembled. Options 65-hp Hirth 2706 engine, dual 9-gallon fuel tanks, ballistic emergency parachute, in-flight retractable tailstand, door kit, instrument gauges and switch set; custom seat covers, prop cover and engine cover; partial kits. Construction Aluminum tubing riveted airframe, fabric covered. Pros - Highly innovative design with a brute construction. Wing construction based on dual spars. Uses a different fuselage enclosure than the similar-looking Challenger. 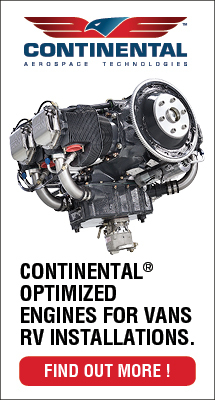 U.S. Light Aircraft uses Hirth powerplants, though builders can fit other brands. Company responded well to the need to remedy the elevator problem (see main article and sidebar). Cons - While the innovations are interesting, some are not executed in the customary way of aviation designers - for example, the brake actuation by pulling full aft stick. Nonstandard methods means the pilot may need to learn new techniques. Tailstand adds weight (though it did make entry easier). Elevator problem was troubling, as the factory didn't initially catch it themselves. Pros - Electric trim and flaps are standard and bring smooth, effortless control (selected drive motors well-chosen for their task). Electric trim was quite effective. Electric start is a standard feature. Tailstand is easily cabin-retractable. Hydraulic brakes. Wide-open engine access. Cons - Electric flaps don't operate as quickly as most mechanical systems. Cannot determine trim position unless you visually inspect, which isn't easy from the cockpit. Panel lacks room after customary instruments. All the extra features add weight. Pros - Entry and exit are quite reasonable, especially with the tailstand holding the Hornet level. Four-point seat belts were appreciated. Without side enclosures cabin seems huge - broad pilots will like the roominess. Seats comfortable; backrest was tall and offered good support. Most controls within an easy reach. Cons - Rudder pedals were angled awkwardly for my use (though builders can change these things). No baggage/cargo area (except the rear seat when flying solo). Open cockpit seemed noisier than similar designs. Pros - Visibility is very good from the front seat whether on the ground or in flight. Even the rear has decent visibility (and is better than many tandems). Suspension by Goodyear was excellent - firm yet well-dampened. Turn radius was tight. Very good clearance for rough-field use. Cons - Brake on the aft of the stick range is clever but nonstandard even among ultralight aircraft. Because the Hornet sat so lightly on the nose, nosewheel effectiveness was diminished. Nondifferential braking lessened taxi maneuverability. Pros - Ground roll on takeoff was short. Takeoff and landing visibility are as good as the best ultralights. Approach speeds can be held low, about 40 mph with practice. Landing out should be reasonable thanks to good clearance and excellent suspension system. Flaps were very useful, pitching the nose down to improve visibility on final. Hornet retains energy well for flare. Cons - Crosswind landings done at the slowest speeds may run out of stick range. Slips weren't very effective, as the Hornet lacks side area. Pros - Although you can't call them fast, controls were light and pleasant - many pilots prefer such a compromise. Coordination was good - precision turns to headings were accurate from the start. Adverse yaw was on the good side of average. Cons - Roll rate may not be fast enough for some pilots. Stick range was limited in some crosswind landings when wide deflection was needed. Rudder deflection was limited by an unusually raked pedal angle. Pros - Fairly speedy design. Hornet can also fly well at low power settings, suggesting wing is efficient. Engine and prop are well-selected. Sink rate was good at under 500 fpm (solo). Slow flight possible at only 35 mph using 5,000 rpm, a remarkably low number for an aircraft that seems pretty large among ultralights. Cons - Since this flight evaluation, the factory has remedied the elevator problem, but they had not fully explored the speed range in a proper test regimen. Regrettably, this brings other performance statements into question - for example, I cannot accept as fact the high speeds of the airplane. Pros - Power-off stalls broke mildly at speeds in the low 30s. Power-on stall never broke, instead just bucking around in an obvious protest that can guide your response. Longitudinal stability tests were good in spite of a nose-light trim condition. 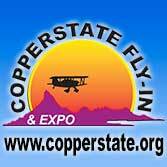 Cons - Elevator flutter experienced, a problem which U.S. Light Aircraft reports has been fixed. Pros - Feature-filled design illustrating lots of innovation and many hours of effort. Very efficient flyer that performed well at very low power settings. Robust construction that will set most pilots at ease. Could operate under the 2-place training exemption to Part 103 based on empty weight (though extra weight of some options could restrict this use). 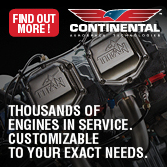 Cons - When equipped with engine, prop and the full kit, price is on the upper end of the ultralight spectrum. Most damning experience related to the elevator flutter problem. Factory has fixed this in the accepted way, but I have not rechecked the aircraft. You are advised to speak directly with the factory on this issue. Let’s cut right to the chase. Flying the Hornet for the second time in a couple of years (the second flight was in April ’96), I experienced a most disconcerting quality: flutter. While I have many good things to say about the Hornet, this one experience elbows its way to the front of the line. Easing into the “Pilot’s Report” on the Hornet simply isn’t possible when such an experience dominates my thinking. Published in Light Sport and Ultralight Flying Seating 2, tandem Empty weight 475 pounds Gross weight 1,000 pounds Wingspan 27 feet 6 inches Wing area 138 square feet Wing loading 7.2 pounds/sq ft Length 20 feet Height 6 feet Fuel Capacity 9 gallons Kit type Construction Build time 250-400 hours Standard engine Hirth 2703 Power 55 horsepower Power loading 18.2 pounds/hp Cruise speed 100 mph Never exceed speed 140 mph Rate of climb at gross 500 fpm Takeoff distance at gross 400 feet Landing distance at gross 250 feet Standard Features Electric start, steerable nosewheel, pneumatic suspension on all wheels, hydraulic brakes, aluminum wheels, large tires, electric flaps, electric horizontal stabilizer trim, dual aileron control circuits, dual elevator control circuits, adjustable seats, disassembles for trailering; wings, fuselage and empennage factory-assembled.